Did you face many difficulties in getting FDA approval due to PALLAS being the first of its kind in the world? The FDA approval process was easier for other devices by Laseroptek as there were many case studies and a larger number of previous devices to prove equivalence with. However, as PALLAS targets dermatologic conditions, we were faced with tougher standards. We worked with a consulting firm to obtain FDA approval in 10 months. This was longer than we expected but it was a learning experience for us. We actually face more difficulties in Korea. We based our application on the indications of the UV lamp for FDA approval. As PALLAS’ equivalence to the UV lamp was recognized, it was given the same indications. However, the Korean health authority does not recognize FDA results. We expected the Korean health authority to grant us approval before FDA did. We are disappointed with how the regulatory body is not catching up with the technological advancements in the industry. Mr. Chu Hong foresees that PALLAS will help increase the brand recognition of Laseroptek and the South Korean laser technology. You must be very proud of your technology. We participated in the ASLMS (American Society for Laser Medicine and Surgery) meeting last year in San Diego. One doctor visited our booth and said “I am so happy that I can use this laser. Do not worry about the sales. 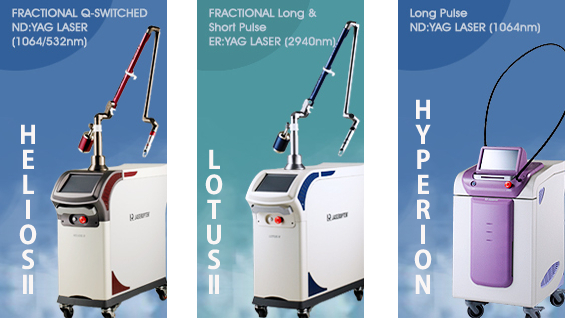 I use an excimer laser but you have resolved all the disadvantages of the excimer laser and no one would be able to resist this new laser.” Another key advantage of PALLAS is its extensive clinical application. Besides vitiligo and psoriasis, it can also be used in atopic dermatitis and alopecia areata. I heard you are planning global marketing of PALLAS. Currently, the demand for vitiligo and psoriasis treatments is the largest in the US, followed by India and Japan. The President of a vitiligo treatment society in Southern California, US and the president of a Japanese society of vitiligo treatment are some of our most notable collaborators and reviewers. We are planning to market PALLAS at the AAD (American Academy of Dermatology) meeting to be held in San Diego in February 2018. As atopic dermatitis can be treated by internists in the US, I believe we have a larger market there. We are hoping to increase brand recognition of Laseroptek through PALLAS and this will help the sales of HELIOS and LOTUS. PICOLO is our picosecond laser. We won the government grant of KRW 6.5 billion in 2014 for a five-year project to develop this new laser. It uses both Nd:YAG and alexandrite and will be released in 2019. I think the biggest advantage of PICOLO is the output stability. It is effective in wrinkles, scars and pigmented lesions.